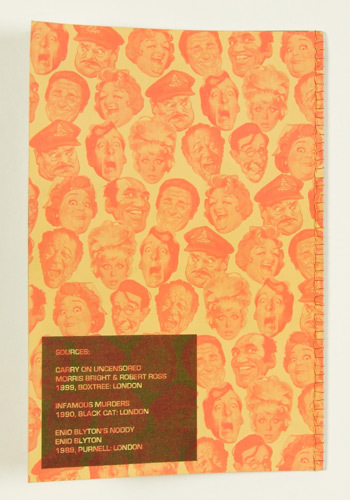 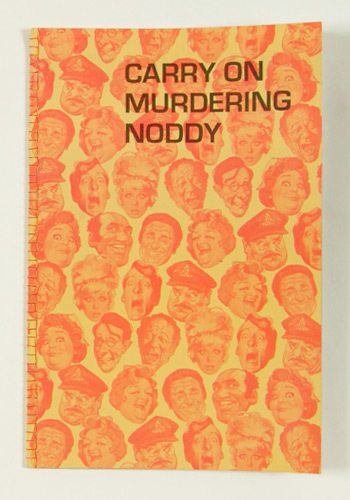 A study of the relationship between word and image, constructed by re-binding selected pages from three existing books sourced from a charity shop: ‘Carry On Uncensored’, ‘Infamous Murders’ and ‘Enid Blyton’s Noddy’. 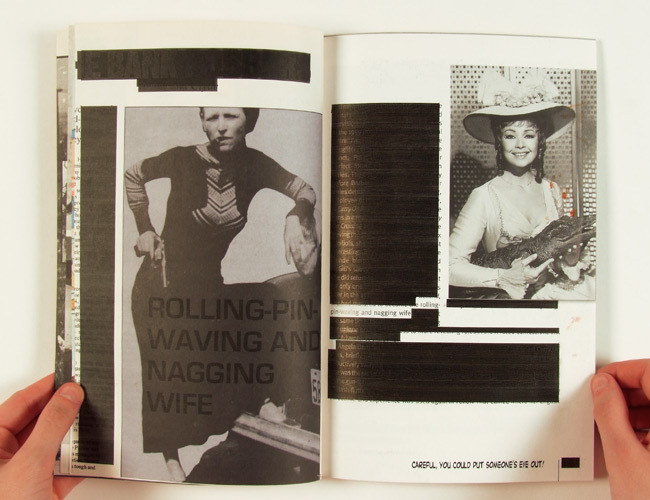 The words from one text are placed onto the image from another, the reverse of the page creating the link to the next text. 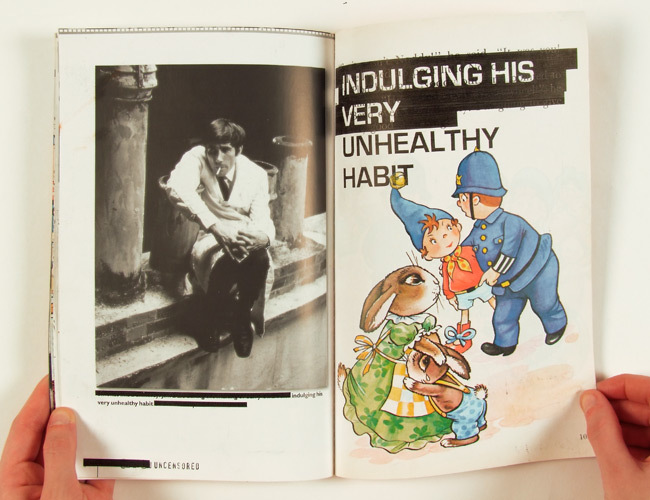 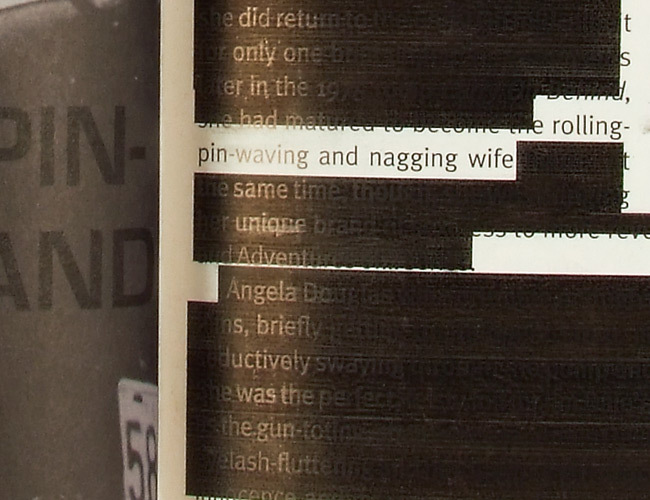 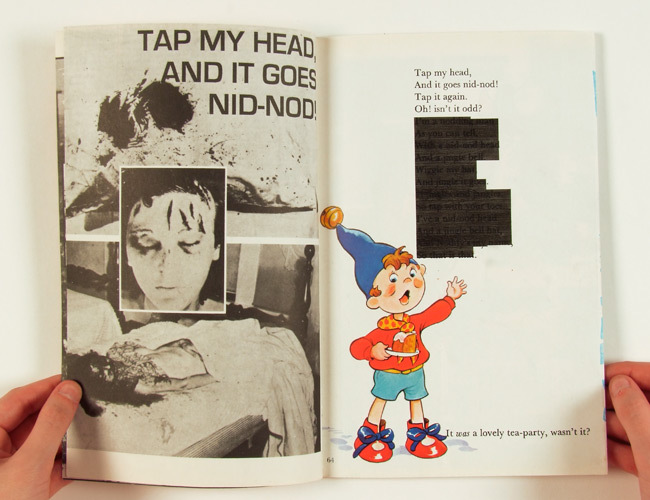 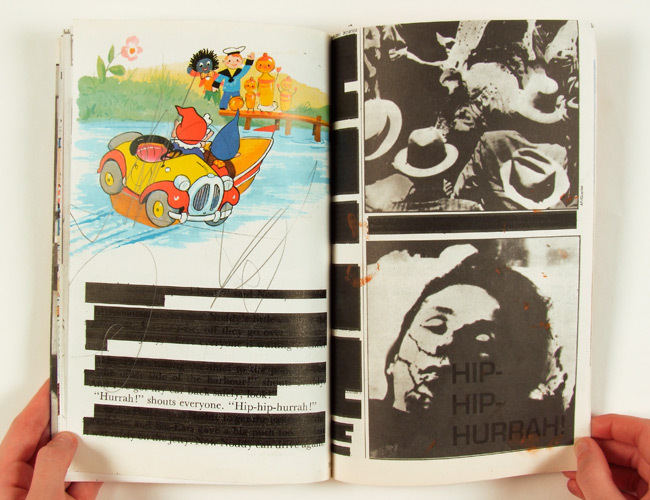 The overprint both censors and highlights content; the partial coverage over a child’s scribbles or greasy fingerprints recalling past ownership.